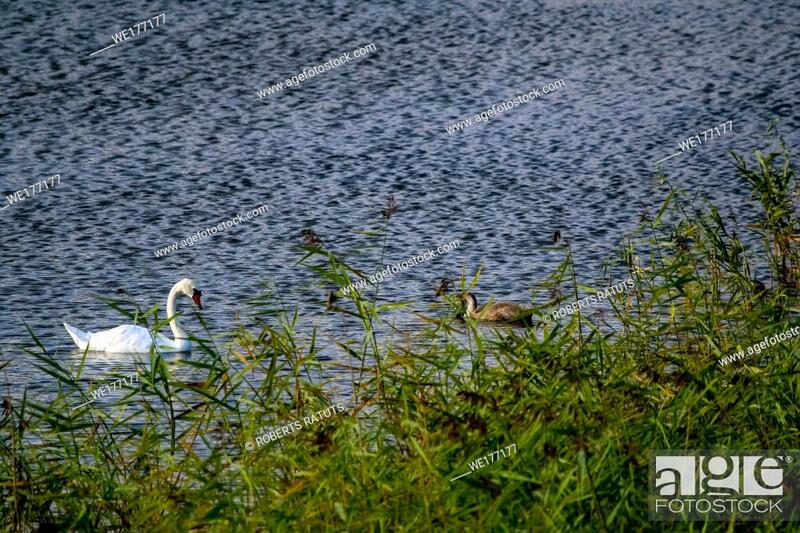 Stock Photo - Floating waterfowl young swans, wild birds swimming on the lake, wildlife landscape. Swans swimming on lake in Kemeri National park. White swan and young swan swims in Kaniera lake, Latvia ... . Beautiful white swans family swims in the lake.